There are only days left until December 21, 2012 – the end of the world if conspiracy theorists are to be believed. 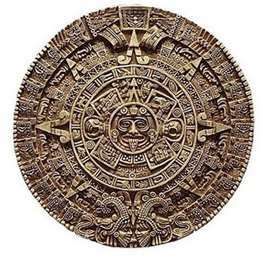 That’s the day the Maya calendar supposedly ends and ushers in the apocalypse. Of course, there isn’t any actual evidence that the world will end next week. In a Google Hangout earlier this month, scientists with NASA pointed out this lack of evidence and dismissed the claim as another in an endless progression of doomsday prophecies as old as humanity. But NASA didn’t stop at debunking the December 21 predictions. The agency has just preemptively released a video detailing why the world didn’t end on that day. The video is dated and presented as if someone will be watching it on December 22, with a narrator that calmly explains why the world will have not ended next week. It’s a sign of scientists’ incredible confidence that the world will not end. The video doesn’t gloat or condescend. Instead, it calmly lays out the facts that the Maya calendar never predicted the end of the world, that no asteroids or rogue planets are on their way toward Earth, and that the Sun is not a current danger to our planet. A Fox report reiterating that December 21, 2012 is not the end of time. NASA has made and effort to target children and teens that have threatened to take their lives as a result of the December 21, 2012 apocalypse.